With 2009 in the rearview mirror, my thoughts turn to the promise of 2010. A New Year is like newly fallen snow; gorgeous, pristine, undefiled, PERFECT. 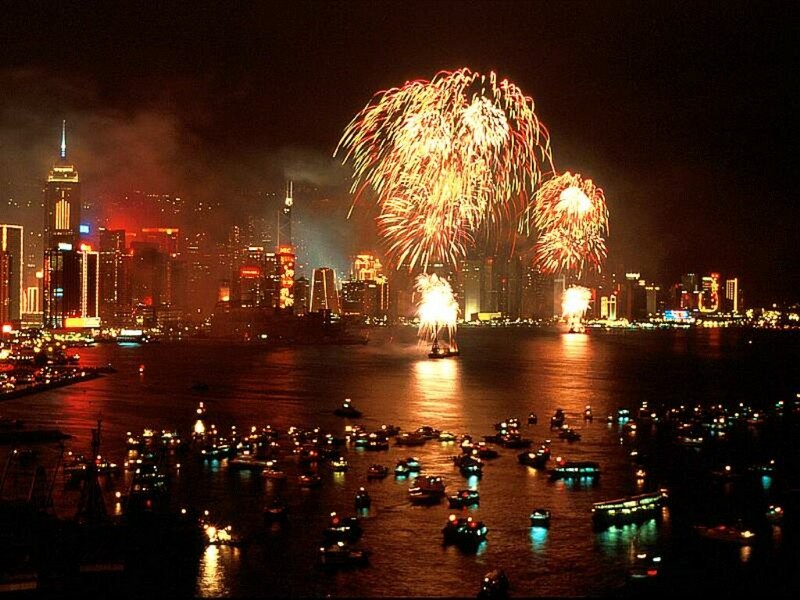 Full of promise and potential; 2010 awaits each of us…what do you plan on doing this year? My guess is that health, family, love, and work are all high on the list; more this (e.g., exercise), less that (e.g., body fat). Our ERGOLAB team would like to offer up some resolution suggestions specific to your ERGONOMIC well-being in 2010. Embracing our suggestions will improve your health and make you a better partner, parent, friend, or employee. Request an ERGONOMIC EVALUATION from my employer. Musculoskeletal Disorders (or MSD’s) like carpal tunnel or tendonitis, can be the result of the cumulative trauma that comes from long-term use of a badly designed home or office workstation. Secure a baseline assessment from a qualified Ergonomist; those back and head aches that you suffered from in 2009 could be eradicated by some simple workstation adjustments. Know the risks! Increase your own knowledge and understanding of Ergonomic risk factors. In the US, OSHA (the Occupational Safety and Health Adminstration) invests millions of your tax dollars in building ‘how-to’ guides on Ergonomics research and education. Take advantage of these free tools. Many times, a low or no-cost improvement will drive huge benefit to you and your long-term health. Here is a link to OSHA’s guidance and quick tips on computer workstation design; http://www.osha.gov/SLTC/etools/computerworkstations/index.html. EXERCISE, EXERCISE, EXERCISE. Regular exercise increases the body’s resistance to injury from bad Ergonomic design. A strong body is more resilient; increase your core body strength to improve body posture. This resolution isn’t about fitting into that size 4 black dress; strength training and regular stretching is the best prescription for good Ergonomic health. Ok, we’re going to say it…buy a GREAT truly Ergonomic office chair. Yes, we sell chairs at our Ergonomic Edge web site (www.ergonomicedge.com) Yes, this recommendation might seem self-serving. HOWEVER…research tells us that American spend an average of 8+ hours a day sitting at a desk. You spend as much time in your chair as you do your bed at night. Your office chair matters. If you can’t afford a quality Ergonomic office chair new, scour the after-market for a great brand used. – ADJUSTABILITY. No chair alone is Ergonomic. The ability to adjust to you, your body and tasks you are asking your body to perform is what makes a chair ERGONOMIC. The chair should provide on-the-fly adjustment in the armrests (up and down, in and out), seat pan (in and out, up and down), seat height (up and down), lumbar region (can be manual or automatic). What is most important; the chair must get you to a neutral posture for the task at hand; computing, gaming, talking on the phone etc. – Quality Construction. The selected manufacturer should provide a comprehensive warranty on all elements on the chair, particularly the adjustment mechanism. Our favorite chair manufacturer, Humanscale, offers a 15 year warranty on their adjustment mechanisms. We have clients who have used the same chair for years. Happy New Year to one and all. The ERGOLAB team wishes all of you the best in 2010. We resolve to keep sharing our ideas and Ergonomic guidance in 2010; we look forward to your questions and comments in the coming year. Growing up in Western PA and West Virginia; most living rooms or dens showcased at least one, maybe two recliners. Much loved, the right to sit in these thrones was dictated by the family hierarchy; think Archie Bunker. When Archie got home from ‘the plant’, no one had better be sitting in that chair. If you were very lucky, your recliners were tricked out with all the bells and whistles. Full recline with footrest, heat, maybe massage (in those days vibration) and a pocket to hold the TV Guide on the side. The chair was covered in plush upholstery or corduroy or faux leather; real leather was the exception, not the rule. Neighbors and friends with a leather recliner were obviously doing well for themselves. My hunch is that the recliner explosion coincided with the space race; NASA research found that in zero gravity, the human body rests most comfortably in a reclined posture – hips and knees open beyond 120 degrees. Astronauts (the reality TV stars of the 60’s and 7o’s) were strapped into their spacecraft in the reclining position. If it works for them, it works for home. I have to be honest, I hated those chairs. I thought they were ugly and unsightly. 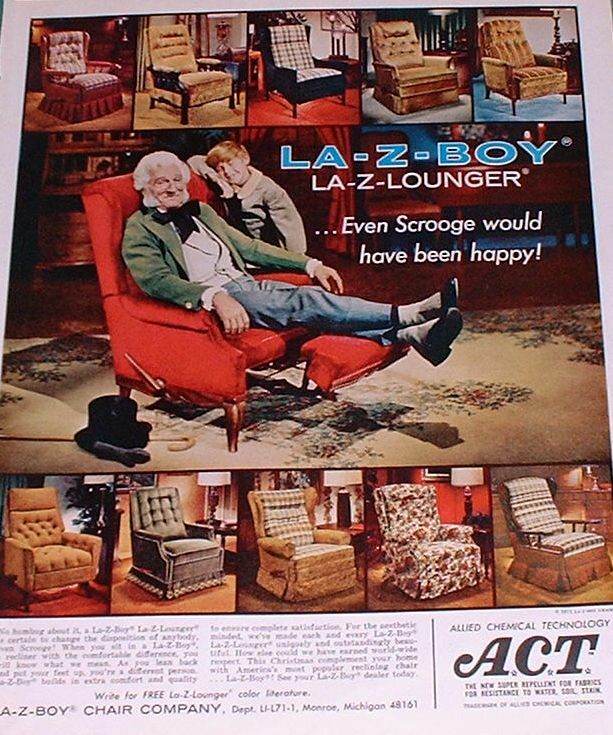 How humbling now, especially given our ERGONOMICS focus here at ERGOLAB, to realize that La-Z-Boy and Barcalounger had it right all along. Human Factors experts agree that the most comfortable long-term body posture is the recline position. Just came across this link to CORE77 article which details a research project from the Savannah College of Art & Design (SCAD) , sponsored by Freescale Semiconductors. The research initiative had a VERY broad scope, however, as an ergonomist, one particular category of learning jumped out at me. A group of students investigated the physical ergonomics within this age group, especially concerning the use of smaller devices. They discovered that a conventional small clamshell laptop is most comfortably used lying down in bed with the device on the thigh when the knees are kept up. Once again, the RECLINE position. Don’t know if sound Ergonomic principles in design were what drove La-Z-Boy and Barcalounger, but I am willing to admit it when I am wrong.